A week ago, the Lions of Multiple District 5 endorsed me as their candidate to run for the position of International Director on the Board of Lions Clubs International. It was a thrilling moment for me and my family. The fact that the delegates were nearly evenly split and only a few made the difference in my favor reminded me of my years of coaching speech and debate when two teams were evenly matched and it was the power of a single argument that swayed a judge to vote in favor of one team over the other. I am convinced that the reason for my success in this election was the strength and positive support of my campaign team throughout the convention and for that Kathy and I will always be grateful! Of course, in any election, a decision must be made between candidates. But unlike in the political realm where the candidate’s conflicting positions serve to divide the voters, Lions share the common “platform” of service to others that unites them. That’s why Lions can move forward after elections with optimism and hope because while one person or another may be placed into a position of leadership, the cause for which we serve continues: Helping those in need. I received notice yesterday from the Legal Division of LCI that Lions Clubs International has certified me as a candidate to run for the position of International Director in Toronto. After a flurry of emails and telephone calls, the paperwork is in and we are launching our international campaign. Our new campaign video can be found on this website by clicking on the Videos tab. In addition, as a way to keep the Lions of MD5 and the world informed about our service on the International Board, I plan to continue blogging each week. I hope this form of communication will be of interest to the Lions we serve and I will do my best to honor the pledge I made to the delegates who elected me: That I will always remember those who elected me and the needs of those for whom we serve; and I will do my best to keep service front and center in all I say, do, and write. 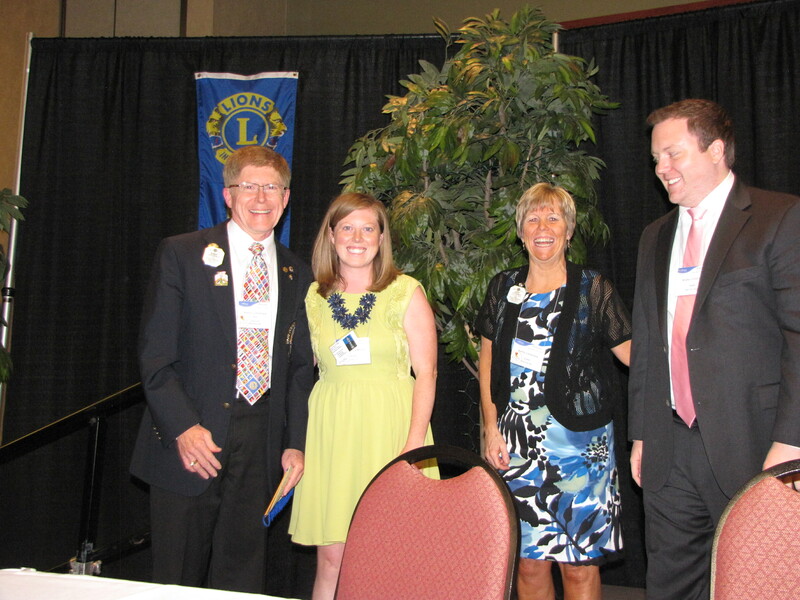 As we begin this next phase of our service in Lionism, Kathy and I look forward to the opportunities that lie ahead. Thank you, Lions of MD5, for placing your confidence in us. We will do our best to serve you and our wonderful association.